Drug Driving Tests – you can lose your license and be fined by a New South Wales court. The New South Wales Government has started MDT ( Mobile Drug Testing) ie drug driving tests for drivers at road side blocks (also called RBT units) for BOTH alcohol and drug substances in your system. 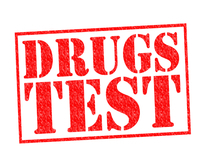 The drug driving test involves licking a strip of paper and the police then are equipped with a device in their cars to help test that strip to see if a substance is in your system. Licking the paper provides New South Wales Police with a sample of your saliva, so it can be tested for carrying an substance in your body. This substance can be in your body from even a matter of nine days before. It is critical to not assume that prescription medications are not detected. If you are taking prescription medication, it is critical to understand that you can also be found to be liable under the drug driving tests. Drivers proven to be driving under the influence of illegal or prescription drugs, face fines of up to $2,200 and automatic 12 month licence disqualification for a first offence. These offenders can also be sentenced to up to nine months in prison. Higher penalties apply for second and subsequent offenders. Lismore Local court – Magistrate David Heilpern dismissed the Joseph Carrell case in February 2016, after it was found that he had consumed a substance namely, cannabis. Joseph was advised that he can wait 1 week before driving after he took cannibas. Joseph waited 9 days before he started to drive after he took cannabis. He then was pulled over by police and found to have positively tested for the substance of THC ( a chemical found in cannabis) in his saliva when administered the drug driving test police are now equipped with also in RBT units. Defence – Joseph stated that he relied on the Police advice earlier when he was told that he needed to wait 1 week before driving. He in fact waited 9 days for the substance to clear from his body before driving. Joseph therefore made an ‘honest and reasonable mistake’ by driving after 9 days of taking cannabis and still being found to have traces of the substance in his body, that was detected by the drug kit of NSW Police. Issue – How reliable is this drug kit attached with RBT units? Furthermore, Police are not trained effectively to advise on how or what persons should do. This advice should perhaps only be provided after the technology has been tested and the Police are actually provided with scientific analysis and FACTUAL information to confirm their mere ’belief’. OR should we perhaps consider the actual training police receive for drug driving tests? What is it? Does each person’s weight and metabolism factor into the equation? Legislation and the intention of Parliament behind the law- the law was discussed by the court and it was stated that the laws never considered the advancement of technology as time progressed. The law was originally discussed in Parliament in 2006, some 10 years earlier. Technology has advanced since this time. Joseph was found not guilty as he made an “honest and reasonable mistake of fact”. This is the way the defence is defined, available to you per the case of Proudman v Dayman  HCA 28; (1941) 67 CLR 536.